Our paddling comrade, John Taylor, left us behind on Sunday. He was committed to time in the ocean and surfing, but even from a distance, you could tell Jocko was a jolly and congenial soul. I met him in the water, of course. He paddled over and struck up a conversation, with ease and his boyish charm, like he’d always lived there. This entry was posted on May 10, 2012 by Jen's Marinedream. It was filed under Uncategorized . Rest in peace Jocko. Next big wave SUP session is dedicated to you! 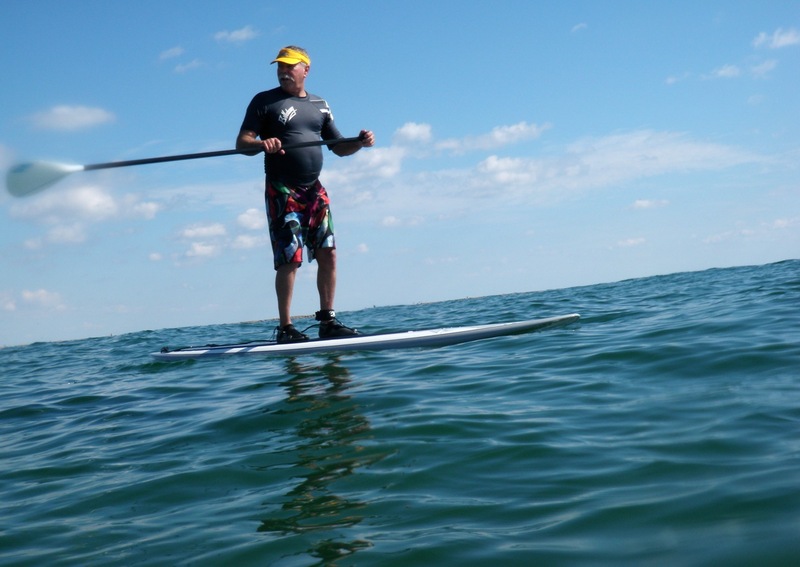 Paddleout for Jocko is this Saturday am 9:00 at Horace Caldwell Pier hope everyone can make it. Really, really sad news. Didn’t know Jocko well, but he was the first local I ever talked to in Port A, and even though I was a rank beginner from Austin he was always giving me advice, calling me into waves, etc. Surfing HCP will not be the same.